Is it worth taking a family trip if your child won’t remember it down the road? Probably. 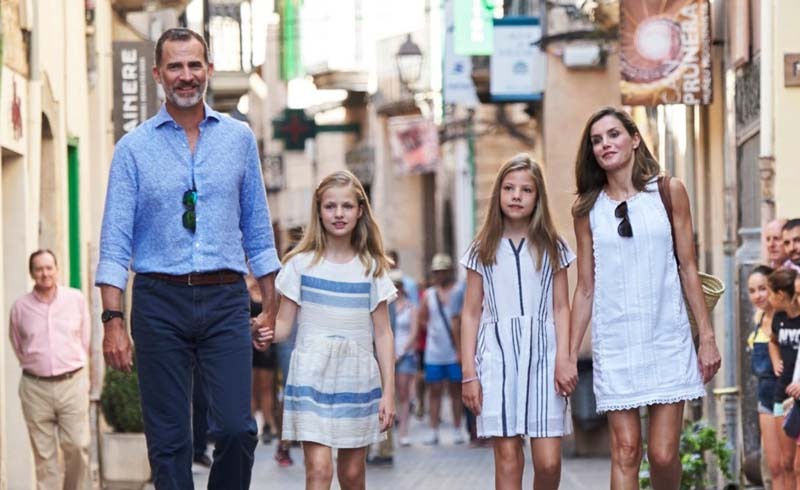 But it is certainly better when your family takes a journey together that is not only remembered, but also becomes part of who you all are as individuals — and a family. So how do you take a trip with your children that is meaningful enough to be remembered once you’ve returned to the day-to-day grind? While there are some things you can do to try and ensure the trip is remembered after the luggage is emptied and stowed, most of that work happens before and during the trip. Not after. If your family wants your next trip to be more meaningful before, during and after the journey, consider trying these strategies. One of my most memorable trips as a teenager was to the 1996 Olympic Games in Atlanta. There were plenty of reasons this trip was memorable, but one of the biggest factors was that it was one of the first journeys I got to help plan. I found the ticket brochure in a soda display at the supermarket a year or two before the games, and that sparked discussions and plans that led to us seeing the Olympians in action. If your child comes home with a travel idea, explore it. Maybe it is possible, maybe it isn’t. But the more involved they are in the trip planning, the more likely they are to connect long term with the experience. Giving your child a camera or an old smartphone and letting him or her document the trip as they see it will help them stay present and engaged during your travels. When you return, print out those photos so your kid can see them, touch them and treasure them. One idea we love is to turn vacation photos into books using Shutterfly or Mixbook. You could print one entirely made of your child’s words and photos, or work them into one shared book for the whole family. I’m not going to go all Luddite on you and say you must have your kids read books about where you are headed to make it meaningful, though that’s not a bad idea. But I do recommend having them learn about where they are going before they get there to give more context about what they will see, do, hear and experience. That advance learning may happen in the form of books or at the library, but in 2019, it may also include reading online articles, or watching videos together. Get creative. How you learn together about where you are traveling isn’t nearly as important as simply making it happen, since kids find it really fun to be the experts. A trip to an amusement park may not scream purposeful travel, but I’ll never forget the time my then 8-year-old pointed out with glee some secret, hidden ride elements she had learned about by watching behind-the-scenes videos before the trip. Her joy was infectious. She was the tour guide in that moment, and that made the day extra memorable. You don’t have to speak French to go to France, but it sure is a lot more fun if you learn at least a few words and phrases. These days, translation tools are the easy way out, but use a family-friendly language app like Doulingo before you go to learn words together. I’ll never forget practicing words like chat (cat) and noir (black) with my then 4-year-old before our trip to Paris. We never needed those words on the trip, but learning them together was one of the memories that stuck for both of us. You can have a meaningful family trip and still use your points to stay at a posh resort, but do make the effort to experience what is beyond the gates of the property. When we traveled to the Andaz in Costa Rica with both of my daughters, for example, our days at the pool were great. But our moments off the resort were far more memorable. Just this week, many months after the trip, my eldest daughter wanted to talk about that time she rode horses on the beach near the jungle. She didn’t want to talk about the room service breakfast, the kid’s club or the suite upgrade. Instead, she wanted to reminisce about our time together riding horses through real Costa Rica. That was the memory that stuck with her and, truthfully, with me as well. Ever heard of “Flat Stanley?” I hadn’t either until a year or two ago, but it’s a series of children’s books, and some families began traveling with a Flat Stanley cutout as a way to help children connect one experience with another. 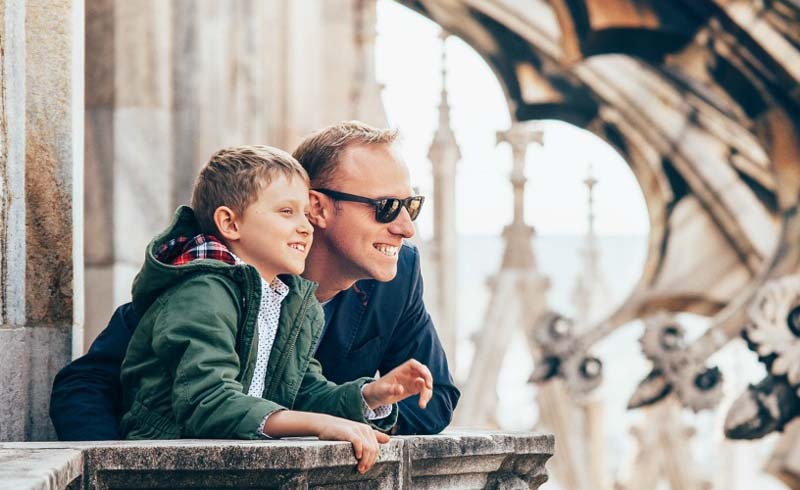 It doesn’t have to be Flat Stanley, of course but if your family can weave a tradition from one trip to the next, it will help each individual vacation feel like part of one longer, related journey as opposed to multiple one-off experiences. Voluntourism is a real thing, but with kids, it may not always make sense to spend time together working in a disaster zone. But you can find ways to give back. While on a family vacation to Orlando last year, we spent the morning at nearby Give Kids the World Village, where families stay while on a “Make a Wish” trip to Orlando. Children as young as 12 can volunteer, and while mine aren’t yet old enough, even the few hours we spent there learning about the village made a lasting impression. When the time comes, we will return for the full experience. Until then, know that some hotels and resorts make it easy to get involved in the community you are visiting. That may be as small as bringing a backpack of supplies, or it may involve more hands-on activities as your children grow. Remember that aforementioned trip to Paris? Outside of learning a few words, the moments that my daughter and I both remember the most were from parks, playing with kids. At four, she didn’t care that she couldn’t say much to the other children because they didn’t need words to play. Whether it’s on a merry-go-round or with a game of soccer, help your children find ways to interact with other kids on the trip. Just as your trip may become more memorable over a good conversation with a local resident at a cafe or bar, your child’s trip may become more memorable over a game of make-believe or pick-up basketball. What happens if your family doesn’t learn a language, make a scrapbook or go far off the beaten path? Trust me, your trip isn’t doomed for the non-memorable category. On a family vacation, what truly matters more than anything else is creating good times together and, thankfully, that’s pretty easy. Kids, like adults, remember things that are out of the ordinary. “Mom, remember that time we ordered dessert for dinner via room service?” Yes, I do. You were five and it was in Arizona on the last trip we took before your sister was born. “What about that time we went night swimming in the middle of the night?” Yeah, that was with Grandma when you were six. We stayed at a theme park late and she and your sister were going to sleep, but you weren’t tired yet so we snuck away to the hotel pool and swam with the ducks (yes, literal ducks) in the moonlight. A memorable trip looks dramatically different at various phases of family life. There are concrete things you can do to increase the odds of creating lasting memories with your family, but it is also OK if the purpose of a family trip (or two, or 10) is simply getting out of the everyday and having happy experiences together.